Prominent & Leading Manufacturer from Chennai, we offer multistage pumps, vertical multistage pump and horizontal pump. Water supply: Water filter and water transfer in waterworks, boosting of main pipeline, boosting in high-rise buildings. Industrial boosting: Process flow water system, cleaning system,high-pressure washing system, fire fighting system. Industrial liquid conveying: cooling and airconditioning system, boiler water supply, condensing system, machine-associated purpose, acids and alkali. Water treatment: Ultra-filtration system, reverse osmosis system, distillation system, separator, swimming pool. Irrigation: Farmland irrigation, spray irrigation, dripping irrigation. We deal in vertical multistage pumps that are made from high grade stainless steel and allied metal alloys. These sturdy and reliable pumps offer efficient performance in a variety of applications. These can be used in Boiler feed, Transport of condensate, cooling water and hot water circulation and other similar applications. Our organization has gained immense recognition for offering quality assured Horizontal Pump. 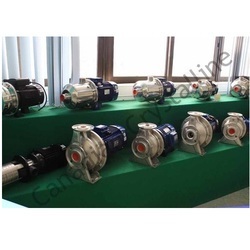 These pumps are made in line with international standards using quality tested basic material that are procured from reliable vendors of the market. We offer these pumps are in numerous specifications and can also be customized in order to fulfill the diversified requirements of the clients. 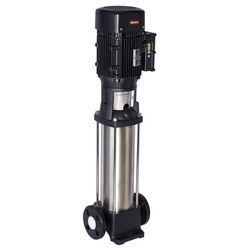 Our renowned clients can avail these pumps at most reasonable prices.